So, what to do with that old cell phone or computer? Looking to upgrade your television? Electronics recycling can be a win-win situation for everyone. The dangers posed by improper disposal of electronics can be avoided. You are left with peace of mind, and the Earth will thank you for not adding to the tipping of her delicate balance. The world of electronics moves so quickly today that is can become a fill time job just trying to keep up with it all. Electronics have become smaller and faster and as soon as you upgrade your phone, laptop or tablet, they may be already obsolete. 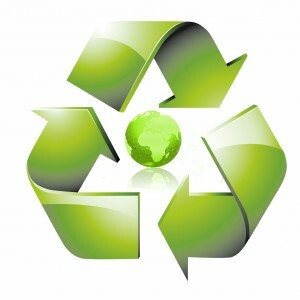 Electronics recycling is the answer you are looking for. Not only will they be properly disposed of by an electronics recycling professional but they might actually be able to rescue it and pass it along to someone who could really use a computer, cell phone or tablet. According to the Environmental Protection Agency (EPA), over 400 million electronic devices are tossed out each and every year. That’s right – 400 MILLION. Out of this unbelievable number, the EPA has estimated that less than 20% of it is recycled. What happens to the other 80%? It gets dropped off at landfills where its poisons and toxins leek into the earth and the air. The result of all this? More air pollution, especially plastic and lead, and a dangerous increase in toxins and poisons getting into the nation’s drinking water supplies. So, in the long run, electronics recycling is something you can do that will make a tremendous difference in the health of the planet as well as maybe making a difference in someone’s life. Just remember to get in touch with an electronics recycling professional. They are highly trained and know what they are doing. The proper disposal or recycling of your electronics is far too important to be left to chance.